After a long period of trying out different methods and software to track my information, from your traditional pen and paper, organizers/handbooks, online to-do lists, sticky notes, GTD productivity software (modeled after David Allen’s Getting Things Done) and what not, I realized there’s no one size fits all solution. For example, when I was using traditional pen and paper as my to-do list, it was easy to dump out my to-do items and check them off as I go along. But after a while it got very messy. I’d have multiple pieces of paper all over my task, and on each piece of paper there were words and scribbles sprawled all over it. It was difficult keeping track. Also, I had to rewrite every time I wanted to restructure the content, which was tedious. When I was using hand-held organizers, it was easy to input the tasks according to their deadlines. My focus was to just get the tasks done of the day done. However it is difficult to see the big picture when your only guide is a daily schedule. It’s good as a day-to-day managing system, but not for long-term goal management. Sticky notes software – It’s very useful to have tasks at the click of a mouse but it doesn’t take long before you get some 8-10 notes cluttered on your desktop, with huge chunks of information on each note. Just tidying the notes and keeping track of what you have to do becomes a chore. Also, sticky notes have limited formatting functions since they are meant more to store quick snippets of information. Then I tried GTD software. As part of running a personal development blog, I often get free copies of books and software to review on my blog if I like them. I tried a GTD system based on David Allen’s Getting Things Done. It helps you plan out your projects from conceptualization to execution, through the use of Goals, Projects, Tasks, Checklists, Schedules and Calendar. After about a week of earnestly trying to make it work, I stopped using it. I had a hard time drawing a meaningful difference between Goals and Projects, and I spent more time clicking around and organizing my stuff in the system than really getting things done! I’m sure it’s a fantastic system for some, but it just didn’t work for me. I also tried some online to-do lists. While they were fun at the beginning, after a while it became a real hassle to have to login, input/update/delete my tasks day-in and day-out. What I found out from all these experiences is that there is no one best productivity system out there for you or me. I have my specific way of doing things, and with each system I tried in the past, I felt I was changing myself to make the system work out rather than being truly productive with it. Each system made me feel boxed in. The more complex GTD systems had learning curves of their own. The best productivity system is one that makes your productivity flow, not obstruct it. After all these, I realized it’s time to stop looking for a one-size fits all productivity system for me. It doesn’t exist. All of us have our individual styles and preferences, and to have a system that suits all our needs comes nothing short of hiring a software developer to build a customized system for us and us only. Even then, it’s hardly a solution. Not only will it cost a bomb, we’ll probably outgrow the system as we change. So then, I started off with my own tracking sheet, using MS Excel / Openoffice (it’s like a replica of MS Office except it’s free). It started off as a simple list of what I need to do, listed by their dates. Over time I began building on it, adding goals and projects. Then I started to arrange them by priority within the goals. Soon, I introduced long-term goals into the system. Notepad – Nothing like the simple notepad to take down notes immediately, then organize later on. My mobile phone – To take down notes while I’m on the go. I transfer them to my workbook when I get back to my computer. I’m using Active Notes in Nokia E63 at the moment, though any mobile phone will do the trick, really. Just type up a sms and save it as a draft. Once every week and every month, I review my productivity system and update it with my focus for the week/month. I continue to make tweaks here and there, and overall it’s a very robust system for my needs. It’ll probably continue to change and evolve as I change too. That’s the beauty of creating your own productivity system – you revise it to fit your needs as you change. Most importantly, it works very well for me. It’s effective, I can click around easily and get my information, and I can edit with ease. I can’t say the same if others try to use my system. They might get overwhelmed with the amount of information, or it might be too complex for their comprehension. And that’s why there’s no one-size fits all solution. Nowadays I continue to get requests to try out productivity applications, but I don’t do that anymore as I have already found the best productivity system for myself. For that same reason, I recommend you to create your own system as nothing will fit your needs better than something you create yourself. My recommendation is to build your own system, via Excel / Open Office, word processor, traditional organizers, or some other tool. It doesn’t have to be excel, though I highly recommend it since it’s already built to collect and organize large amounts of information in a systematic fashion. It’s intuitive and highly customizable too. You might have to experiment with different software to find what works for you. It might take a period of time, but once you find the right tool for you, it becomes really simple as you use it to enhance your workflow. Calendar: Google calendar is the best calendar option out there. It has basic calendar functions for event management (title, location, description, option to repeat) and other add-on functions like an addendum task-list and different calendars for different purposes (i.e. Work, Personal, Exercise, etc – you can color code them to distinguish between them). You can also share your calendar with others who use Gcal too, making it a collaborative tool. Sticky Notes: After trying a good number of sticky notes software, I concluded I love Morun Free Sticky Notes the most because it’s so user-friendly and light on resources. You can have multiple notes for different purposes, and differentiate based on the note title and the color. Within each note, you can do simple formatting (bold, italics, underline, change font color). Best of all, it’s free! Ta-da Lists – Minimalists’ type of to-do list. If you are just looking for the simplest to-do list there is, where you just list items and check them off, this is the one. Can be integrated with iPhone. Todoist – Simple interface, comes with a calendar, lets you create hierarchies among your tasks (i.e. prioritized items), along with gmail integration, mobile access, reminders, and more. Has mobile support as well. Remember the Milk – With Milk, you can create deadlines, set tasks to recur, set priority among tasks, have reminders and more. It’s integrated with gmail and gcal. 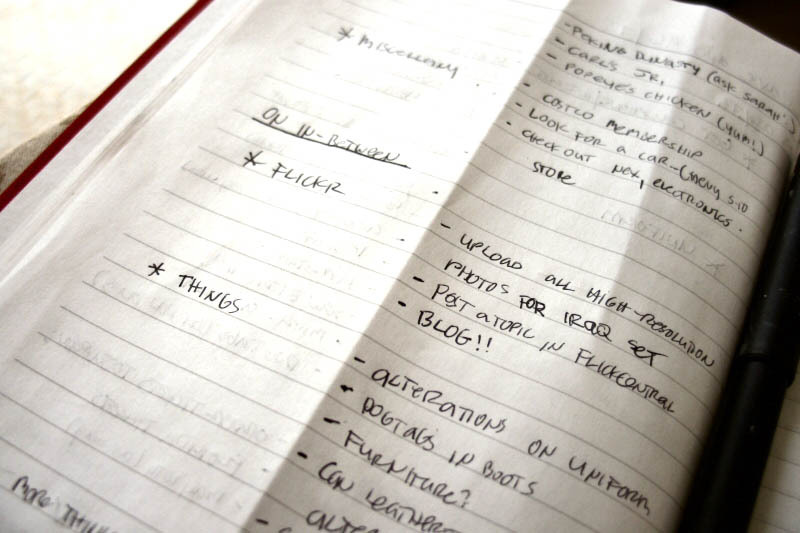 It’s been voted as the best to-do list manager on Lifehacker.com. There’s also mobile phone support. Toodledo.com – More than just a to-do list, it’s more like a to-do system, complete with tagging, time tracking, goal setting, calendar and more. Project Management: For higher level organization and management. Tiddly Wiki – Imagine a wiki site (complete with the functionality of tagging, editing, saving, searching) but for your own personal use to track your personal projects. What’s more, you also get to port it from computer to computer. PB Works – Similar to Tiddly Wiki, except PB Works is more geared toward business team collaboration. I recognize some of you may be fully contented with using ready made productivity systems, and if so you can check out the following. I’ve listed the best GTD systems as rated by the web community. What Is Your Productivity System Like? Do you use any software to manage your events, tasks, and calendar? Remember, your tools are meant to serve you, not to overtake your work. If at any point you feel a tool doesn’t resonate with you anymore, drop it and try a different approach. It’s meant to be an iterative process.